Happy Friday! First Friday in December, which means Christmas prep is in full swing. For some of you, Christmas has been in full swing for two months now. For us, that means Elf and the Shelf. We're not as crazy as some people, but our elf is a sly dog. 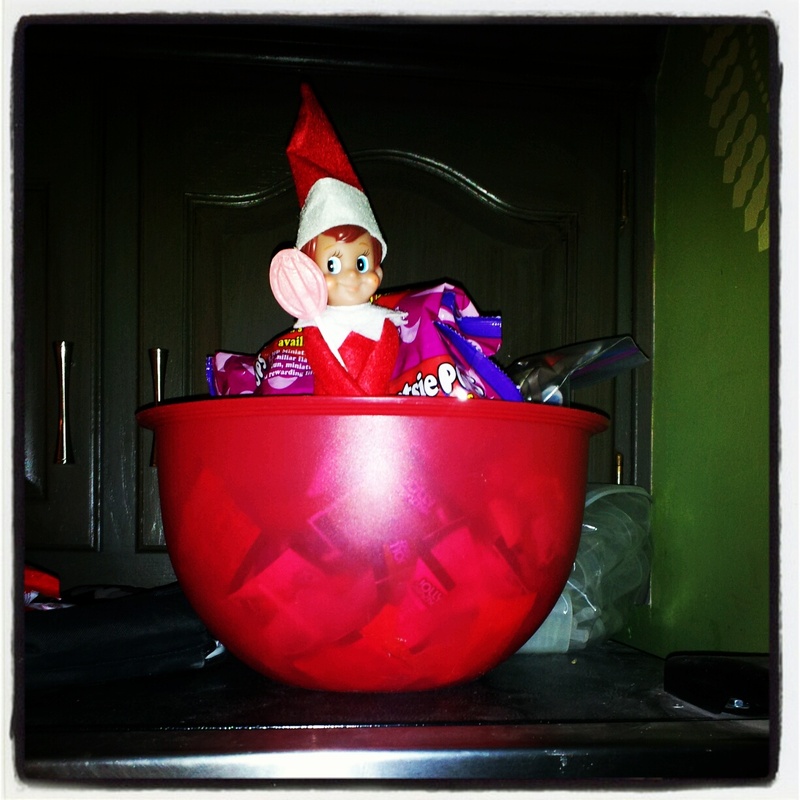 This week he picked a few expected places to hide, and even decided to stay in the candy bowl two days in a row. It's normal to have your dining room table permanently set up for a Christmas party, right? And in other news, two weeks into Slow Carb. Typical breakfast. Down 5.5 lbs so far. and B) what is Slow Carb? It's a mode of eating (some call it a diet) developed by Tim Ferris. I stuck a link above in the text.